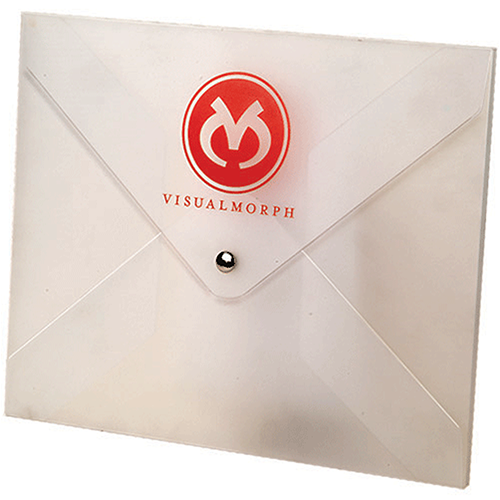 We do not actually have the visual morph snap closure, that is just an old example. Sorry for any inconvenience this may cause. It really depends on how wide you would like! Go to Build Your Portfolio Page: http://www.jampaper.com/BuildMyOwnPortfolio.asp to find out more! The cost will depend on how you customize it. In order to customize it, select a color, and click the &quot;Please click here to design your own custom portfolio&quot; which is underneath the quantity drop down menu. Snapchat has become the biggest phenomenon since Instagram. It will probably be substituted for another app soon and we’ll probably have to write a new product description for this - but we have a point to make. What “Snap”chat doesn’t have that JAM Custom Snap Portfolios DO have is: 1. It lasts more than ten seconds, and we can assume more than ten months too. 2. They are customizable. Sure, in Snapchat you can take any picture you want but the filters are limited to about five. Our customizable snap portfolios are up to you! Choose any size and any design and we’ll try our hardest to fit your needs. 3. You will definitely look better with this portfolio than with any Snapchat picture or video you take. Trust us. But we don’t want to make Snapchat look that bad – so why not take a picture of your snap portfolio on Snapchat and send it to all of your friends! It will surely make them jealous … they may even screenshot it! 100 piece minimum! Plastic or Kraft! Print your logo or your company colors. Quick turnaround in our USA factory. Or for large quantities, we can make these portfolios in China! To inquire about a Custom Snap Portfolio, click "Build a Custom Portfolio" located at the very bottom of the page.